New funds have been allocated to support the co-management of freshwater in Tairawhiti. Hapū collective, Hikurangi Takiwā Trust, will host a two year placement of freshwater scientist, Dr Joanne Clapcott, from the Cawthron Institute, New Zealand’s largest independent science organisation. The placement will be funded by the Te Punaha Hihiko – Vision Matauranga Capability Fund from the Ministry for Business Innovation & Employment. This is the fourth round for the Fund which was established to grow skills and capacity for Māori participation in science and innovation and support outcomes that benefit New Zealand. The placement will help discover and develop local capability through the design and application of a cultural monitoring framework for freshwater resources. “The cultural monitoring framework provides the backbone of the placement from which we hope to develop new tools for local hapū and landowners to engage in freshwater management” says Dr Clapcott. a five year regional engagement plan that promotes co-learning amongst neighbouring hapū collectives with parallel aspirations to increase their freshwater management capability. Hikurangi Takiwā Trust has strong kaitiakitanga aspirations and a desire to engage in the co-management of freshwater in the Waiapu rohe. 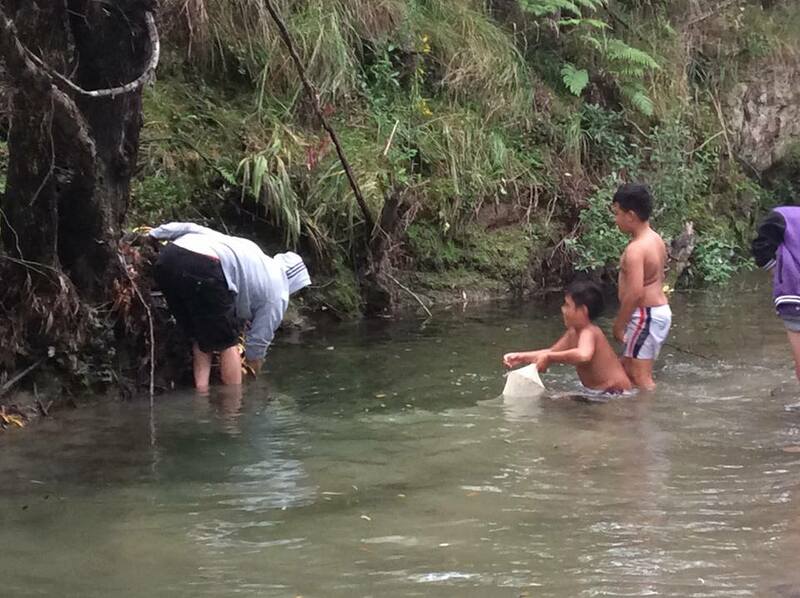 Following the ratification of the Joint Management Agreement between Te Runanga o Ngāti Porou and Gisborne District Council in 2015, Hikurangi Takiwā Trust have been identifying ways to actively engage in the co-management of environmental resources in the Waiapu catchment. 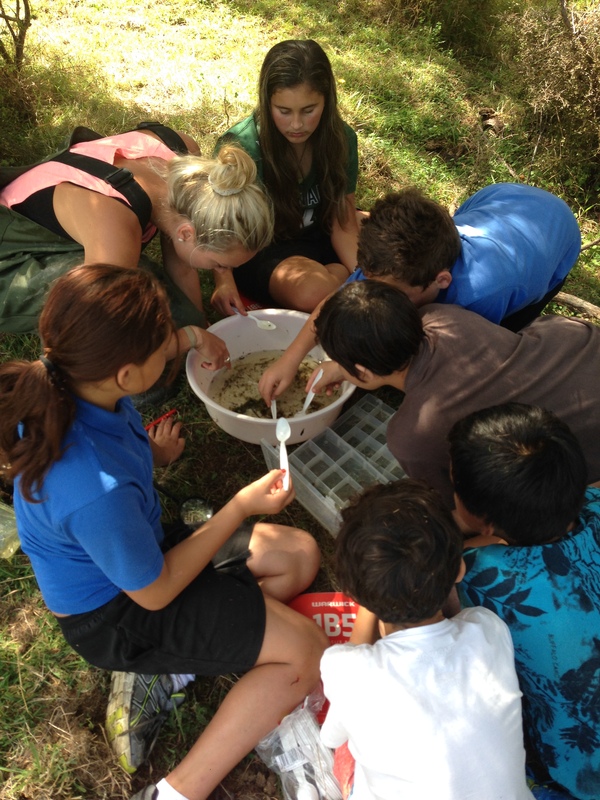 “Hikurangi Takiwā Trust are stoked to host and work alongside Dr Joanne Clapcott – who has affiliations to local hapū Te Aitanga a Mate – in her placement and build our freshwater skill set” says Trustee Pia Pohatu. 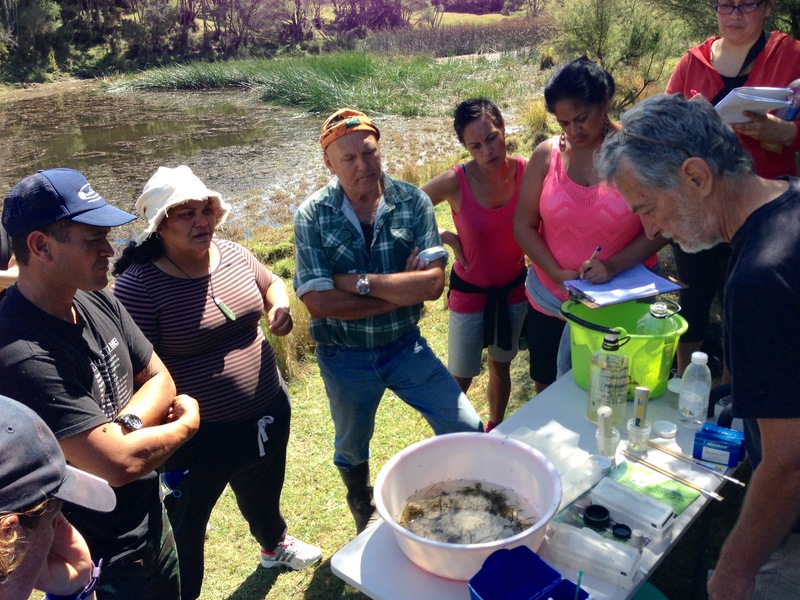 Meanwhile, Hikurangi Takiwā Trust has teamed up with He Awa Ora, He Tai Ora, Healthy Rivers Living Sea Education Trust to offer a two day training workshop this week on stream and river quality monitoring. The workshop for hapū members, marae representatives, local landowners, teachers and students is on 27th and 28th June at Kariaka Pa, Ruatoria. Hikurangi Takiwa Trust is a hapū collective progressing the interests and responsibilities of Te Aitanga-a-Mate, Te Aowera, Te Whānau-a-Rākairoa, Te Whānau-a-Hinekehu and Te Awemapara hapū located between Waipiro Bay and Ruatorea. Creating interactive maps of ecological and cultural significance was a key highlight for over 60 participants in a three day digital mapping wananga at Hiruharama Pa near Ruatorea this week. 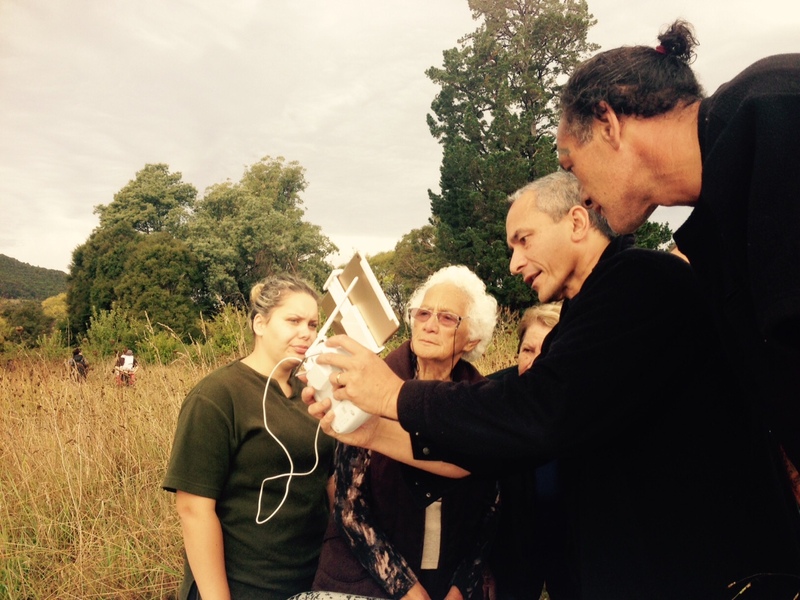 Utilising Google Earth and other Geographic Information Systems (GIS) platforms and apps, local whanau, rangatahi and staff members of Te Papa Atawhai and the Gisborne District Council visited sites in the area to geo-tag places of significance. A wide range of data and information was collated virtually and in situ including photographs, traditional placenames, historical korero, mahinga kai, water quality and freshwater habitat information, native vegetation, pests/weeds and recreational use. Duane Wilkins, Mapping Manager of Te Papa Atawhai – Department of Conservation in Wellington was the lead keynote presenter and facilitator for the mapping workshop. Biologist Dr Ian Ruru led sessions focused on the tuna as a sentinel species to support water quality monitoring and the assessment of freshwater habitat. Takerei Norton and Iain Gower skyped in to the wananga to share Ngai Tahu’s impressive digital mapping project that has already geo-tagged over 5,000 traditional placenames in Te Waipounamu. 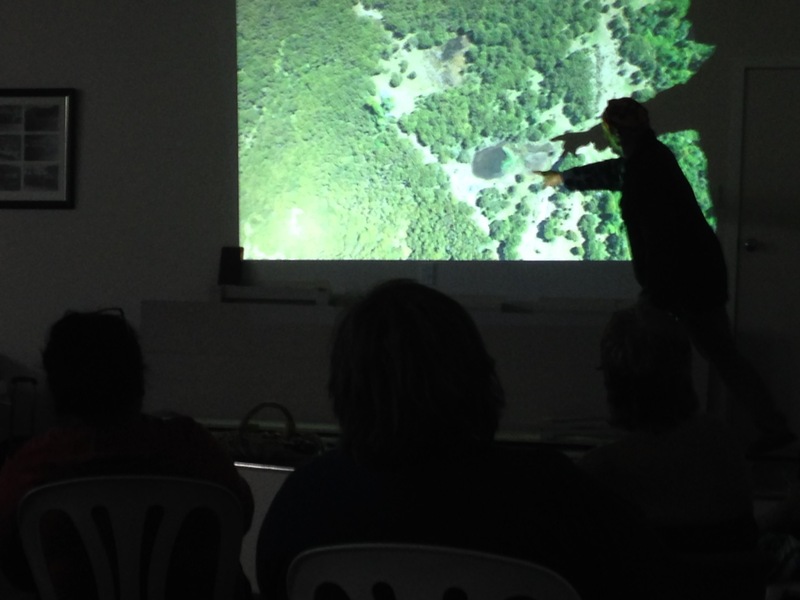 Local DOC ranger, Graeme Atkins shared his extensive knowledge of native plants and wetland restoration advice as part of the hikoi on Kahuitara. 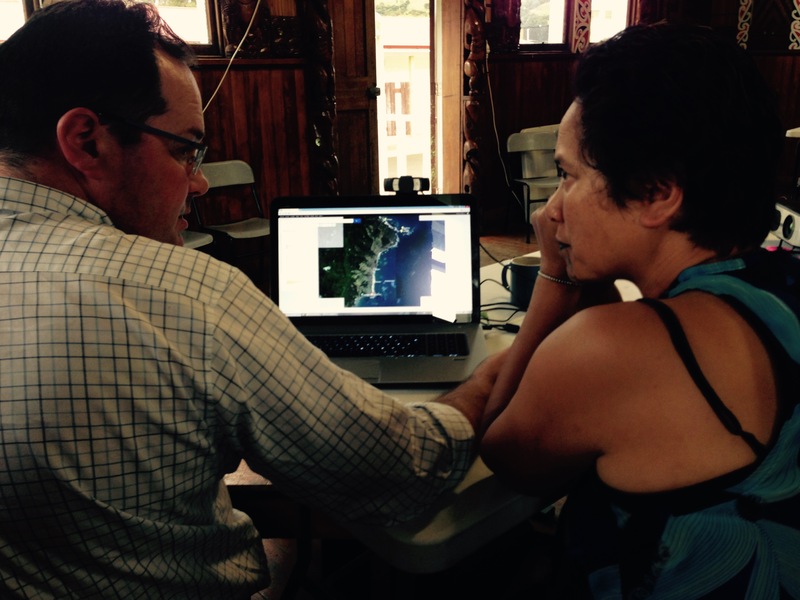 Newly appointed East Coast Area Officer for Gisborne District Council Ngarangi Walker also helped organise the wananga after participating in a Google Earth Indigenous Mapping hui in Whakatane last year. “It is important for organisations like the Council to understand how hapu and local communities want to be involved as decision-makers and the collective approaches required to ensure they are ably represented in RMA and local government processes. Hapu or community created maps are an effective way to portray the values they associate with place/s and inform Council processes to respond appropriately.” said Miss Walker. Digital forms to record details about significant sites were developed during the wananga along with a plan to digitally map the hapu tribal estate over the next three years. Archives of historical value such as survey maps and opportunities to gain further training in GIS were also made available to wananga participants. With half the wananga attendees being under the age of 18 and the oldest aged 84 – the technology, science and matauranga themes provided something for all to learn and contribute to . Te Runanganui o Ngati Porou board member and NZ Trade and Enterprise advisor Barry Soutar talked about a number of Maori businesses commercialising GIS systems and using digital technologies in global markets to earn millions for the product developers, company owners and the country. 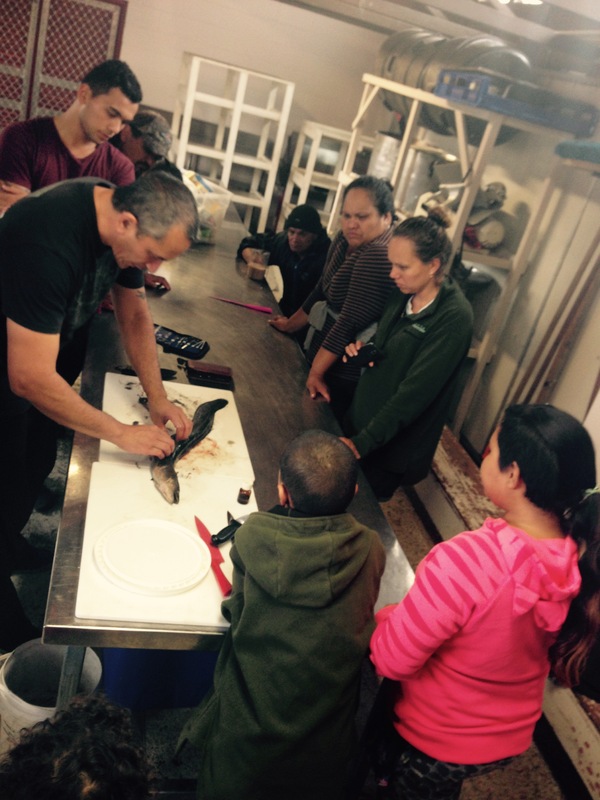 The wananga was supported through koha from wananga participants and the Department of Conservation Community Conservation Partnership Fund. 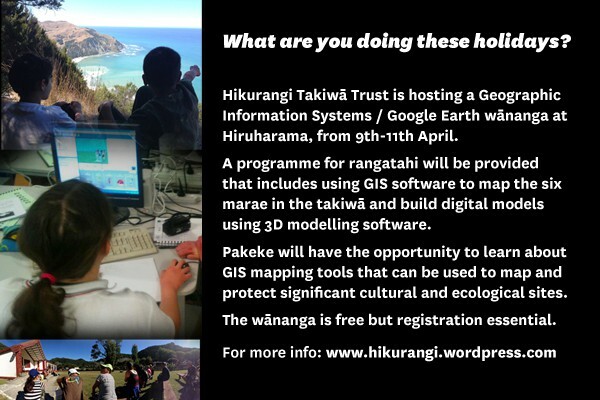 Hikurangi Takiwā Trust is pleased to invite whānau members affiliated to Te Aitanga-a-Mate, Te Aowera and Te Whānau-a-Rākairoa to a GIS/GoogleMaps wānanga to be held 9-12 April at Hiruharama Pa.
Rangatahi are especially encouraged to attend as there will be a special programme for teenagers and tamariki focused on creating GIS maps and 3D models for the six pa in the takiwā. The wānanga starts 9.30am 9 Apereira at Hiruharama and concludes early Sunday 12th April. Hiruharama Pa is WiFi equipped and necessary tools and resources will be uploaded to a website for prior access and downloading to personal devices. Whanau will have the opportunity to work in small groups focused on different mapping kaupapa. There will also be an opportunity for those who wish to find out about local manuka oil production and plans for a nursery to participate in a workshop on this kaupapa. There is no cost for the wānanga but numbers are limited so registration by 3 April is essential. Accommodation is available at Hiruharama Pa. Any koha/kai appreciated – ma tau rourou, ma taku rourou, ka ora ai te iwi. A conservation project by hapu on the East Coast is generating interest and momentum amongst local whanau, hapu, marae and kura. 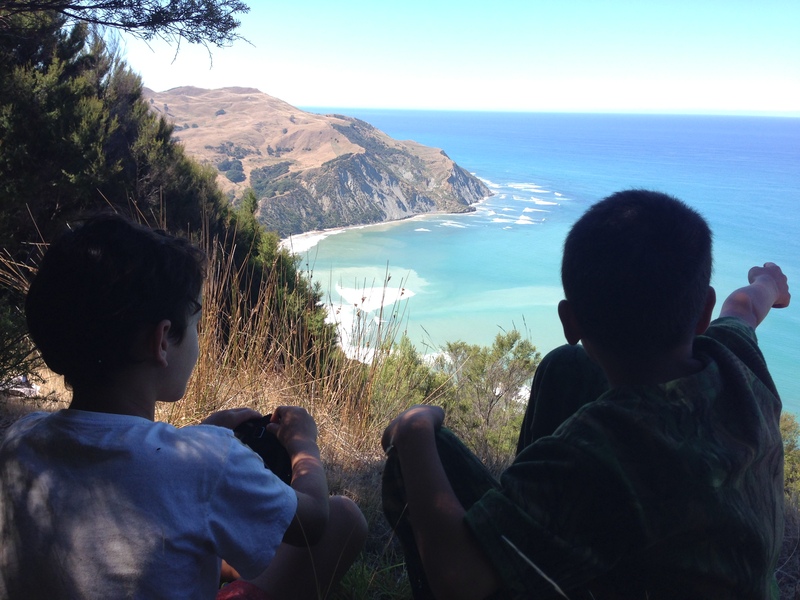 Tieki Te Taiao is a three year project to identify and protect sites of ecological and cultural significance between Whareponga and Hikurangi Maunga. Supported by the Department of Conservation, the first year of the project is focused on assessing our natural resources and planning for restoration of key sites in the years to come. At the first of six wananga held last weekend at Whareponga, environmental scientists Lois Easton (Gisborne District Council) and Murray Palmer (Nga Mahi Te Taiao Ltd) provided hapu members with training on wetland plant and weed identification and water quality monitoring. Left to right: Hapu members Sara Ngarimu, Kapa Keelan, Maria Wynyard, Claude Walker, Tarsh Koia, Angela Tibble, Pia Pohatu and scientist Murray Palmer. 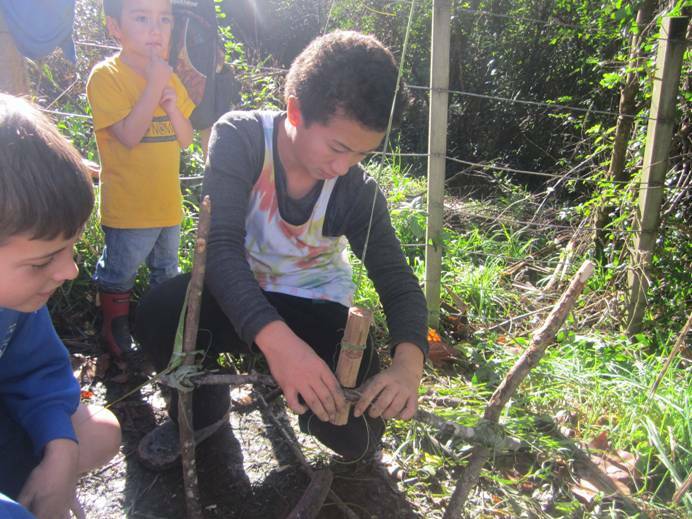 “Wananga are awesome learning opportunities. It is always great to visit our places of significance, reconnect as whanau and share learnings with invited experts. Our rangatahi – so kamakama with their technological savvy – played an important part in recording our discoveries and results. It is a bonus that our whanau are moved to start protection works ‘instantaneously’ on-site.” said Pia Pohatu, Project Manager for Hikurangi Takiwa Trust. As a result of the information shared, whanau and hapu members started removing the South American Swamp Flower that was found at the wetland visited. Hikuku and the other four wetlands on the Waikohu block are important to us historically and culturally and they also provide important fresh water habitat. Ms Pohatu said “following the erection of stockproof fencing hapu members are planning regular camps to continue eeling practices, remove weeds, monitor water quality and replant areas with suitable native plant species”. The Trust is developing a comprehensive assessment of the health of the land, water and biodiversity that will form a ‘State of the Rohe’ environmental report by the end of this year. Local residents and landowners in the area have been invited to participate in the project. Support available for landowners includes training and resources that support sustainable land and water management. Volunteers helping with habitat restoration through site and resource specific plans, seed collection, propagation and replanting of sites and some financial support for conservation activities are also available. “By landowners identifying sites of significance or determining what sustainable land and water management means to them we are able to support their needs and aspirations in a variety of ways including accessing technical and scientific expertise that will enable us to restore habitats” said Ms Pohatu. Claude Walker talking about the layout of Hikuku wetlands and changes he has noticed over the past decade. Hiruharama students identifying aquatic life to assess habitat status and water quality. 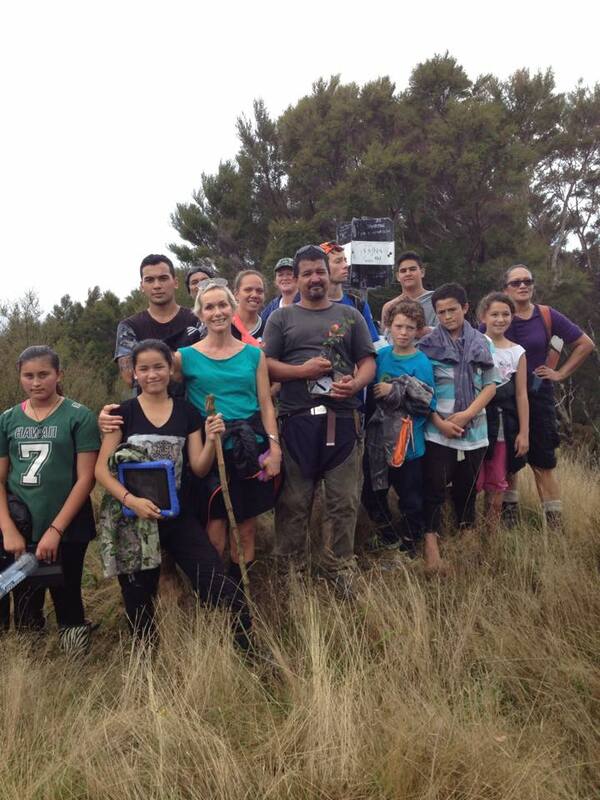 A six hour walk over the sacred maunga Kokai above Whareponga identified a number of areas requiring protection and removal of exotic plants. Hikurangi Takiwā Trust is pleased to provide a progress update on a number of important projects for the hapū. He Rautaki Matauranga mo Te Rohenga Tipuna O Hikurangi Takiwa is an initiative focused on mātauranga within the rohe undertaken as a partnership between Hikurangi Takiwā Trust, Te Runanganui o Ngati Porou and the Ministry of Education. The strategic plan for mātauranga within the hapū was developed in consultation with hapū members and educators over 2013 and 2014. Regular reviews are planned and the document driving an iterative process that will change over time as new learning occurs through the activities in the initiative. Tia Neha is leading an archives project within the initiative that will identify and collate hapū taonga. Tia is responsible for scoping whanau and organisational repositories of/for hapu significant taonga including at least ten priority audio archives held by Radio Ngati Porou. She will lead the design and establishment of appropriate facilities to document and store taonga and references to taonga with relevant access, intellectual property, quality assurance, storage and retrieval protocols. Ngarangi Walker is leading the Communications Strategy, Takiwa Profile and Marae Reader Sample aspects of the mātauranga initiative. Ngarangi is responsible for producing and publishing a six-page marae reader sample for nga pa tokoono o Hikurangi Takiwa. The elements of design and content will consider whakapapa, whenua, reo and common elements may include pepeha, historic and recent imagery from each pa.
Ngarangi is also developing a communications strategy for and with the Trust to enable nga uri o nga hapu o Hikurangi Takiwa to be informed, participate in information sharing and decision-making processes. The strategy will include a digital platform to support the purpose and aims of the Trust. In addition to the above, Ngarangi and her team will design a survey and engagement plan with households and landowners within Hikurangi Takiwa, train interviewers/ enumerators and implement the survey within the rohe. She will disseminate research results from this survey. Pia Pohatu is coordinating participation of the hapū in the northern half of Ngāti Porou in similar mātauranga development initiatives and a copy of the strategic plan for He Rautaki Matauranga mo Te Rohenga Tipuna O Hikurangi Takiwa is available from Pia (Email: pia@uritukuiho.org.nz). A collective of six marae on the East Coast is to receive funding to help restore ecosystems within their hapu. The Hikurangi Takiwa Trust will receive $83,000 over three years from the Department of Conservation Community Conservation Partnership Fund for a restoration project “Tieki Te Taiao o Te Takiwa.” The project is focused on land blocks, waterways and communities around Whareponga, Hiruharama, Whakapaurangi and Makarika. “A comprehensive assessment of the state of the environment within our hapu will be used to plan and prioritise restoration projects which add most value to the future well-being of the area and our whanau” says Ms Pohatu. The Trust will work with landowners, marae and schools in the area supported by the Department of Conservation, Gisborne District Council, Te Runanganui o Ngati Porou and other agencies that hold relevant information about the area. The project involves collating technical information such as land cover, climate, soil and water quality utilising Geographic Information System mapping to produce hapu-relevant maps and aids to better understand the hapu estate. “We are very excited about this work and collaborating with Te Papa Atawhai , landowners and other organisations. It will strengthen our connections with our hapu lands and waters, and leave an improved environmental legacy that our children and grandchildren can continue to enhance” says Ms Pohatu. 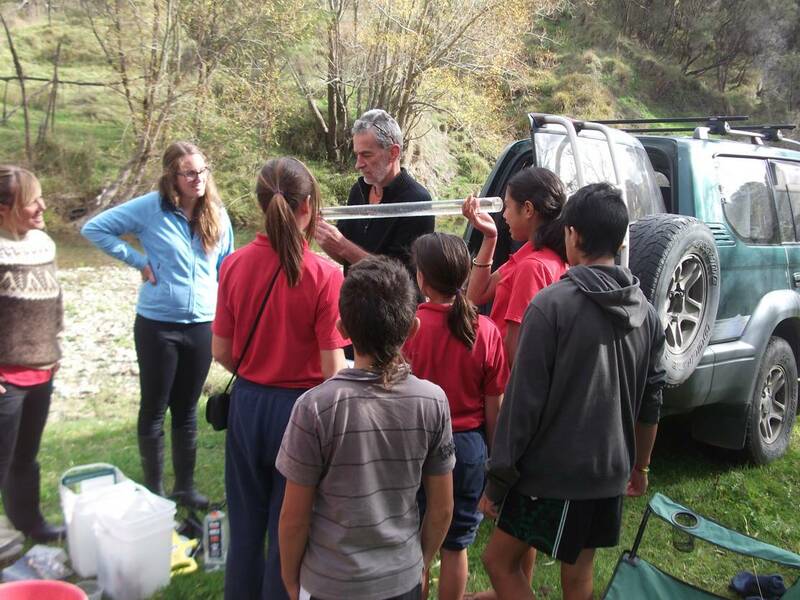 Freshwater scientist Murray Palmer shows Makarika School students how to monitor water quality at the Makatote Stream. In association with Maori Incorporations and ahuwhenua trusts, property owners and residents in the hapū area, a Hapū State of the Environment Report will be produced. The report will include recommended priority conservation projects for the next two years and the DOC funding will assist with this work. This project is one of three East Coast applications successful in the first allocation for the new Community Conservation Partnership Fund. The Community Conservation Partnership Fund was announced in March this year and provides $26 million over the next four years to community organisations undertaking natural heritage and recreation projects. The Fund will support hundreds of projects on public and private land. A full list of the successful applicants is available at here. Hikurangi Takiwa Trust represents a collective of six marae within the Te Aitanga-a-Mate, Te Aowera and Te Whanau A Rakairoa hapu area on the East Coast.